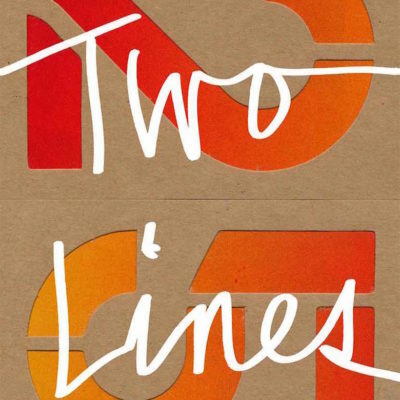 In this conversation between translators Eleanor Goodman and Lucas Klein from Two Lines 30: The Future of Translation, they touch on issues in the field including the blurring of the distinction between writer and translator, between original work and translation. ELEANOR GOODMAN: We very clearly are “in an era of rampant nationalism and xenophobia,” and not just here in the U.S. or in the English-speaking world. It seems natural that translation would then become more undervalued than it has been, even as it underpins everything from our basic education (who doesn’t read something in translation in school, often without being told that it was written first in another language?) to our business dealings to global politics. Still, I see another interesting phenomenon going on, which has been commented on in other contexts, namely multilingual books. The case I’m thinking of specifically is a book by Juan Felipe Herrera, Notes on the Assemblage, in which several poems appear in both English and Spanish. I initially assumed that the poems were translated by the author himself, but in the acknowledgements at the very end of the book, Herrera thanks Lauro Flores “for translating a number of these poems into Spanish.” I take that to mean that the poems in Spanish in the volume are by Flores? And it makes me wonder about a poem like “Borderbus,” which involves a lot of Spanish mixed in with the English—who wrote the Spanish, and is it a translation of an original English text? Do these questions even matter? While these two examples strike me as coming at the issue from very different angles, the point is that neither of these texts are purely English texts, and neither are purely translations. After postmodernism, when the authority of the writer has been undermined completely, maybe we’re moving into a stage in which the distinctions between translator and writer, or original and translation, are being blurred to the point of disappearing. LUCAS KLEIN: Maybe we’re moving into a stage in which the distinctions between original and translation are being blurred to the point of disappearing. Is that a direction we want to move in? Read the rest of this conversation in Two Lines 30: The Future of Translation.